We originally ordered a custom couch from JC Penny and that order fell out of their system, they neglected to tell us until we called to inquire. And we are so glad it did. We visited Portland Furniture and worked with Julia, getting a nice big custom couch, locally made on the west coast for a great price. It’s always nice to support a local business especially when they have employees who genuinely care about what they do. There are a lot of furniture stores out there, if you want quality, value and professional sales/support, go to Portland Furniture. Fabulous store! My husband and I had to furnish a 700 square foot apartment from scratch. Space and storage were paramount concepts for any furniture. Julia and Dana were exceptionally helpful with choosing colors and even wall art. Our new loveseat sectionals had ottomans that became tables and included storage underneath. The standing and table lamps were even better than the catalogue pictures. Portland Furniture even had unique wall art to brighten up the walls. I cannot thank these creative ladies enough – they made our small apartment feel like a home. We have bought furniture at over a dozen stores in the Portland area. 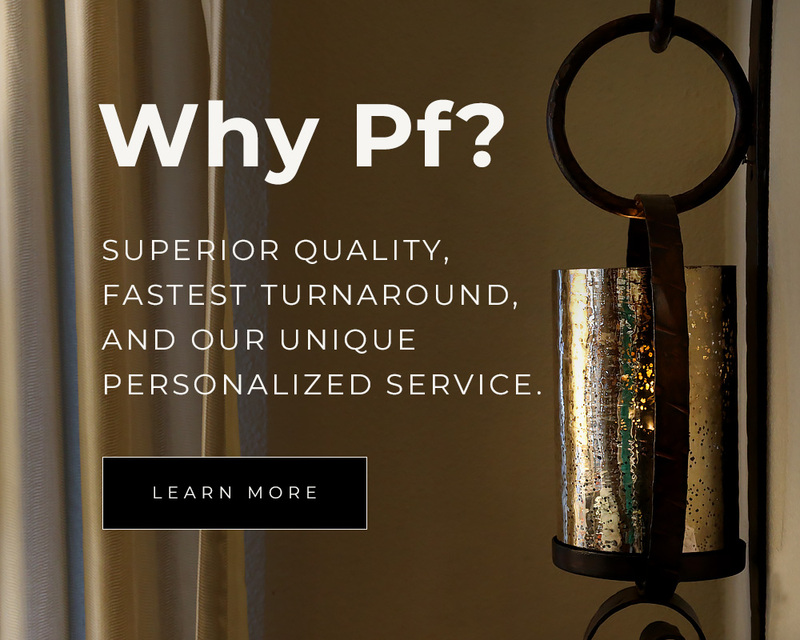 Dana at Portland Furniture is simply the best we’ve worked with. We won’t go anywhere else. DANA!!!! I spend a lot of time in Portland because I like the people (the midwesterner in me) and Dana is an excellent example. The service that we got from her was the best. The. Best. From patience in choosing and emailing back and forth about 20 times, input in directing choice and pointing out options in the store to following up with the delivery people because it’s a difficult location, this was definitely one of the best service experiences I have ever gotten. I also got a beautiful sofa that works better in the space than my original vision, thanks to Dana. Excellent all the way around. What a GEM of a store! Just moved from a traditional Old English Tudor to a modern condo with floor to ceiling windows which means I am In need of smaller sized pieces that are modern or transitional in style. Portland Furniture, while small in footprint, has so many items that are perfect for modern homes, condos and apartments. Wish I found this store before I bought my chaise sectional and coffee table! 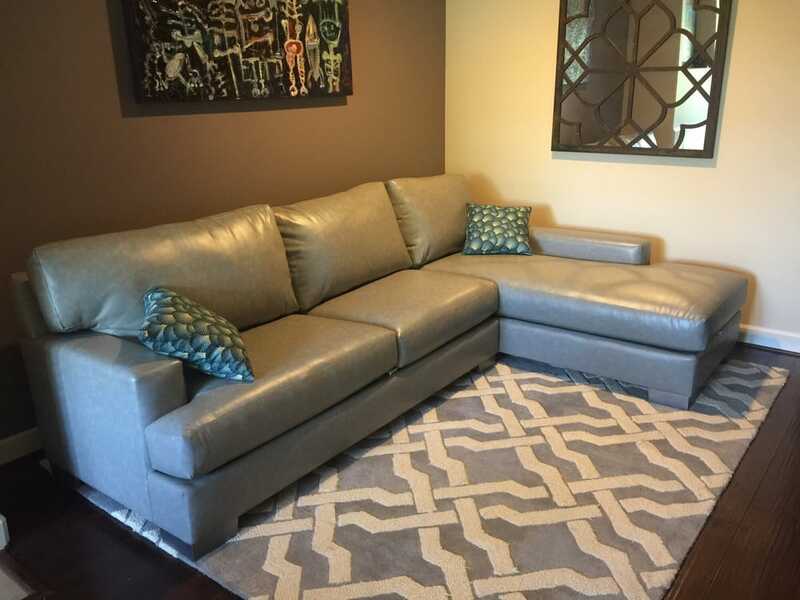 My goal is to sell those brand new pieces on Craig’s list so I can buy the sectional there! It’s made by a local company and you can customize the size, shape and fabric. I also want the amazing coffee table that transforms to a table with the slightest lift of a finger and has storage. Perfect for smaller rooms where everything has to do double or triple duty! There are lots of great rugs, pillows, textiles and the best assortment of bar stools. The owner, Dana, is delightful. She is a designer so she can really help you visualizing and pull together a look. Dana has let me take home pillows, swatches and metal samples as I contemplate new bar stools and accessories to complete my new living room. So happy I found this shop!!! We are delighted with Portland Furniture. They are real pros, flexible and friendly. A couple of Canadians from BC, we wanted something special: a curved sofa, chaise lounge and ottoman to fit in a particular space. Portland Furniture had reasonable prices and sent back informative emails. So we drove down over the border to look at some of their curved sofa models. 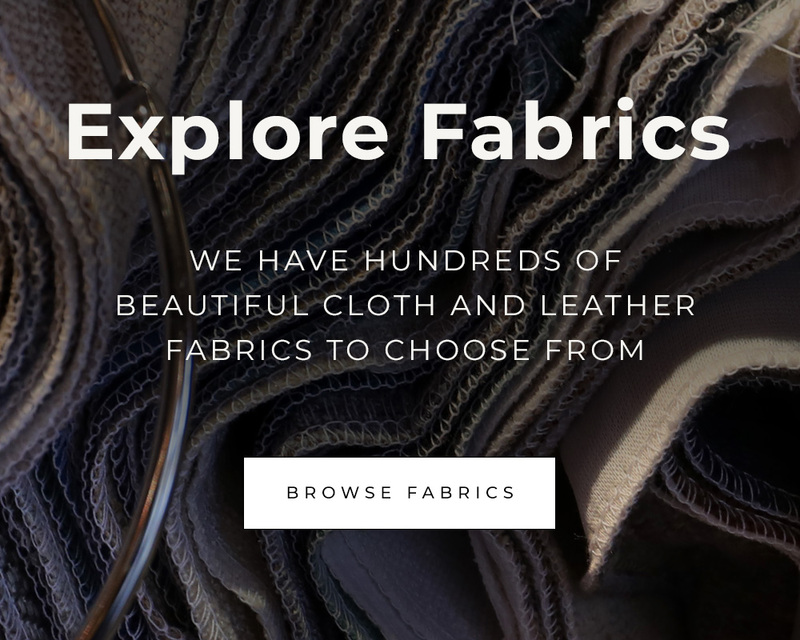 We ended up putting in an order, picking out models and fabric. We got adept guidance from the store’s owner on how items from the various designs could go together to make a nice ensemble. Delivery was yesterday, and the pieces arrived looking fabulous. We are thrilled. Exact opposite of most furniture places. No pressure and excellent recommendations. Great selection and quality of the items have all been top notch. I would recommend Portland Furniture to anyone. I purchased a beautiful “Sandy” chair from Portland Furniture for under $900. I received excellent help and customer service from Julia, who is quite knowledgeable, personable and was sensitive to my needs. Julia also helped me sort through many samples of fabric to choose the best one for my family room. I also had the chair custom-sized to fit into a corner area without a lot of space. The chair arrived in less than one month and is very comfortable and lovely. Julia arranged everything, including delivery. Communication was consistent and excellent throughout the process. It was a very positive experience and I will return to Portland Furniture next year to buy a couch and chairs for my living room. For me, the ability to have furniture custom made makes this store a better choice to buy furniture. I highly recommend! We bought our sectional couch here in 2005. 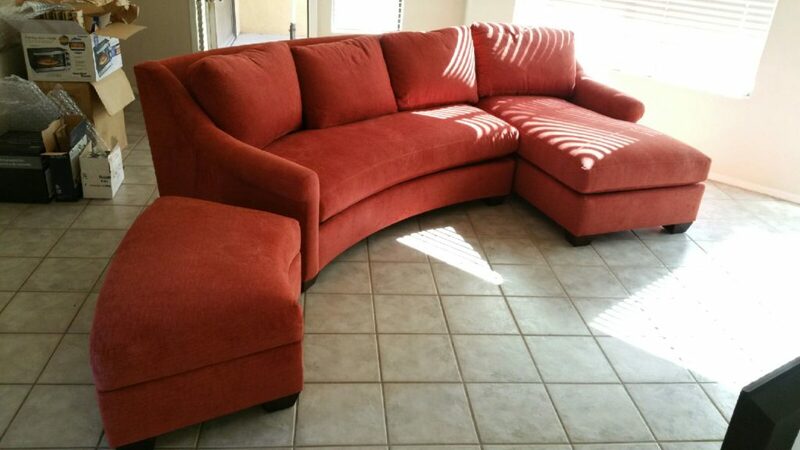 I am sitting on it right now and it is still in great shape – the cushions have really held up well and the fabric hasn’t faded, stained, or worn. It’s survived two moves in great shape. When we bought it they worked with us to make sure it would fit up a very awkward staircase. I am really glad we went to Portland Furniture instead of those mall-type furniture stores who shall remain unnamed! We saved a lot, patronized a local business, and got exactly what we wanted thanks to their customization options. Living in Southern California, the last thing I expected to do was buy furniture in Portland! But boy am I glad I did. Dana went above and beyond in customer service including obtaining many factory sample fabrics, loaning us her own samples when needed, answering a slew of questions and helping us customize the size of the sectional. Delivery was the best experience I have encountered with on time arrival, a short initial window, and a call 45 minutes in advance. The final piece met our expectations, looks wonderful in our home, and costs less than other high-end brands we priced.